Mother's Day is coming and it's spring, what could be more appropriate than a stepping stone for the garden? 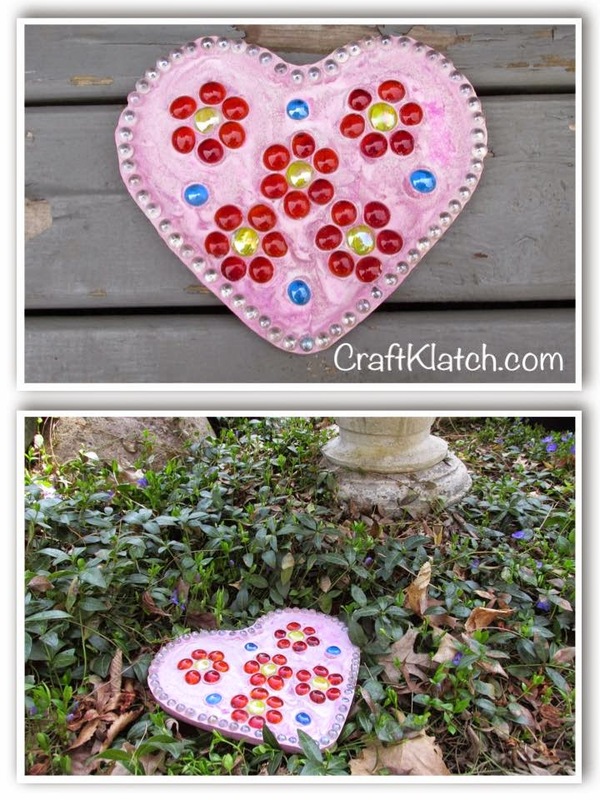 This is a perfect craft for kids to be involved in. It's just as fun for grownups and anyone in between! I wanted to try and color the concrete, so this is an experiment. I used clothing dye to get this pink color. 1. Put the water you will be using for your concrete mix, in a bucket and add clothing dye. Mix well. Let it dissolve as much as possible. 2. Add your concrete mix. Be sure to follow the directions on the concrete mix you purchased. 4. Add glass stone to make designs. I happened to make simple flowers and bordered it with clear marbles. 5. Allow to cure and harden. 6. Unmold and put it out in the garden! Thanks for stopping by and Happy Crafting! Stay safe!